Made of polypropylene, these lanyards offer the classic lanyard look and feel thanks to their flat braided design. A safety breakaway tab is included. This lanyard is perfect for carrying and displaying a slotted ID card or an ID badge holder. These are great badge holders for schools, conventions and more. Lanyard material: 10mm tubular braided polypropylene. Attachment : NPS swivel hook. Safety break-away tab (that will easily open to eliminate the risk of choking). Straightforward and effective, this lanyard is perfect for most card-carrying needs! 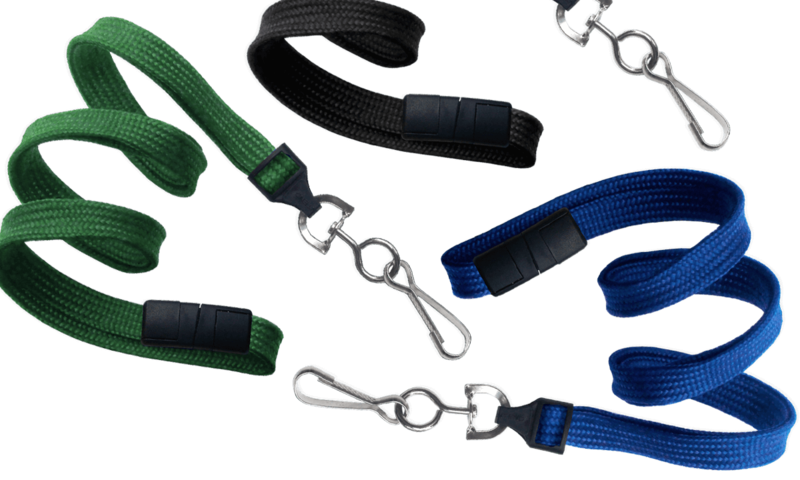 With an affordable price, these lanyards feature a safety break-away tab that will easily open to eliminate the risk of choking.